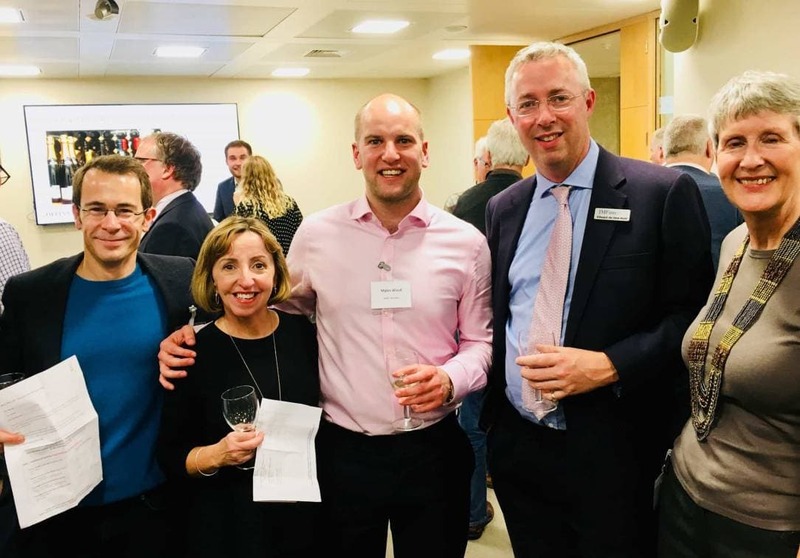 Last night the Waud Wine Club held our annual portfolio wine tasting at JM Finn’s offices in London. We were pleased to have 70 guests in attendance to try 30 different wines for our range that were picked especially with Christmas coming up. Table 1 was the Champagne and Sparkling table, that showed our Prosecco and Mas de Daumas Gassac Rose Frizzant, as well as our returning Club Champagnes from Castelnau. Table 2 were the ‘White Club Favourites’ and highlights include our Brunel de la Gardine CDR Blanc 2016, as well as Ophalum Albarino, Vondeling Babiana and Clos Pons Sisquella. We then changed gear as guests arrived at Table 3, with new wines including the fabulous Wildekrans Barrel Selection Chenin Blanc 2015 from Hermanus in South Africa and Louis Cheze Breze Condrieu from Northern Rhone. Table 4 showed Red Club favourites, that included wines from Cantina San Marzano, Brunel de la Gardine and Clos Pons. Finally at the show stopper table, that seemed to be the most popular, table 5 had some of our top wines on, including Torbreck The Steading 2003 from Barossa Valley in Australia, Clos Figueras 2007 from Priorat in Spain and finally the best seller of the evening – Clos Pons Roc Nu 2010 from Costers del Segre in Spain. A blend of Cabernet Sauvignon, Tempranillo and Grenache. We were pleased to sign up some new member to the club on the evening as well. Many thanks to Waud Wine Club member Edward de Vere Hunt and Oliver Tregoning for inviting us to hold our tasting at the JM Finn offices and to thank their catering team for putting on a fantastic spread.